On the evening of 15 June 1915, the great and the good of British society have gathered in Brussels at what is to become one of the most tragic parties in history – the Duchess of Richmond’s ball. For this is the eve of the Battle of Waterloo, and many of the handsome young men attending the ball will find themselves, the very next day, on the battlefield. This was a fun read for me on my Kindle. I read it while I was waiting at doctor’s appointments, which we have had a lot of lately. I like books like this when I don’t have a lot of time to focus on a serious read. I got this book when the Kindle version was on sale really cheap a few months ago. 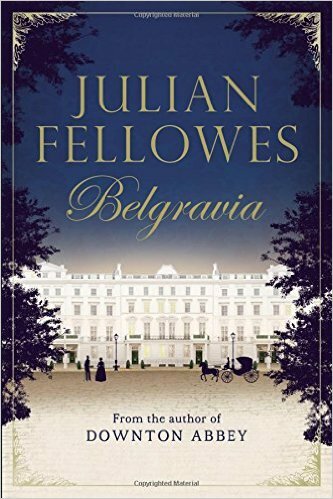 This is written by the Julian Fellowes, best known for Downton Abbey. If you are a Downton Abbey fan I think you will like it. It was good, but I didn’t love it. I enjoyed the first half of the book better than the second half. The first half was spent building up the story, but the second half seemed a bit predictable to me. I kind of saw where it was going and how it would end. Overall though it was an easy read, and a good book for fans of Downton Abbey.